Artists: Group exhibition of various artists. At St Andrews Presbyterian Church hall until 7th Oct. The society of Artists Newcastle is holding its annual exhibition now called The Newcastle Prize. The overall vibe of the exhibition is conservative with the new section of contemporary art not quite attracting contemporary artists. A vibrant cubist style painting appears contemporary until the realisation cubism occurred some 100 years ago. But despite this there are some little gems amongst the show. 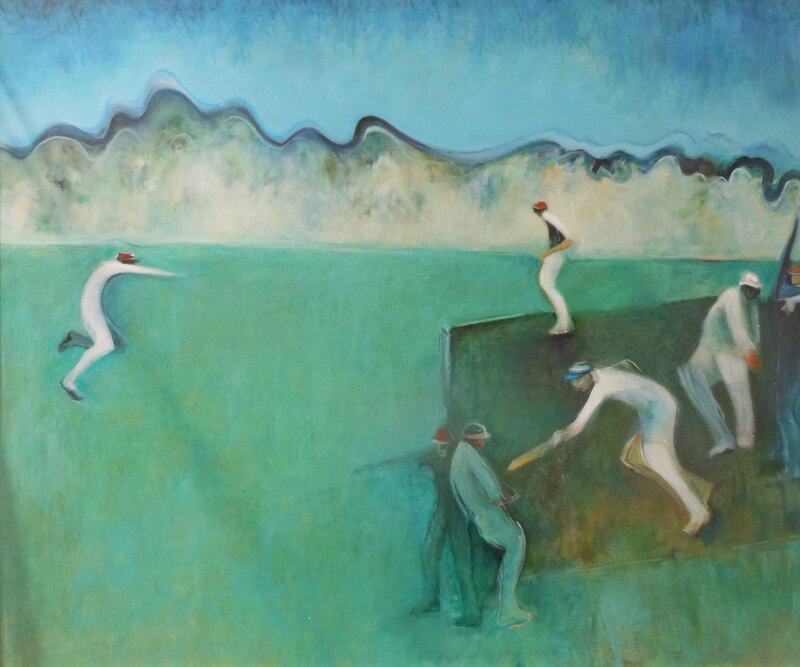 An oil by Robert Robertson titled “There’s Always A Catch” captures the essence of movement with sweeping brush strokes. A nod to Robert Dickerson seems appropriate with an extensive field showing similar qualities to the broad expanses of negative space in a Dickerson portrait. 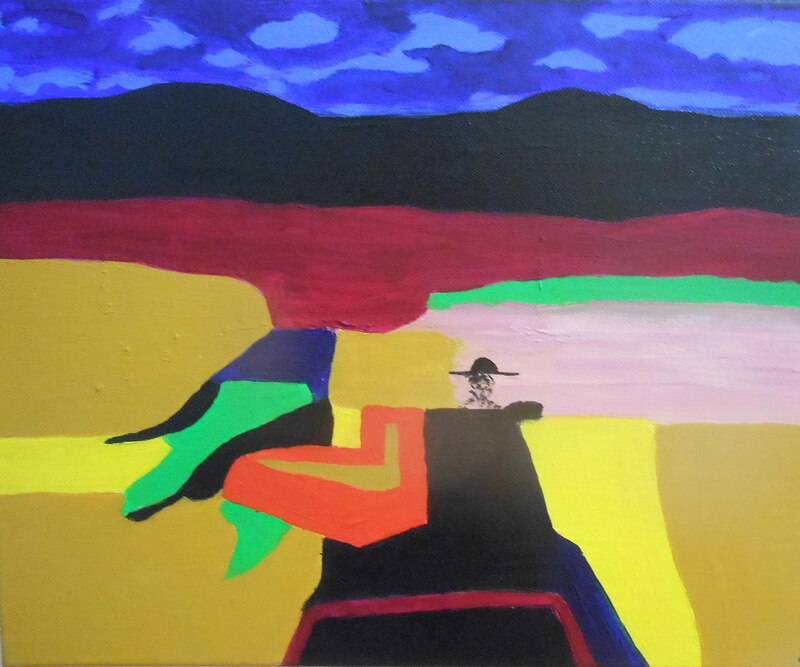 John Mawkes flattens the image with blocks of colour in his acrylic painting “Lonesome Traveller”. The technique is somewhat raw and out of place in an exhibit celebrating the traditional however it would be interesting to see whether it works well and in context with a mass grouping either of his own or similar artists’ works. Newcastle Art Prize is on exhibit at St Andrew’s Presbyterian Church Hall Auckland St Newcastle until Oct 7th Mon-Fri 10-4 Sat-Sun and public holiday 9-5.